At Armoured Drives Ltd we cover all aspects of block paving for our customers. Based in Barnsley, our professional pavers provide outstanding products in a range of colours and designs. All of the top brands are available; including Marshalls and Plaspave, and this ensures that you receive the very best at all times. A free quotation is available to all and we never take a deposit. Call us today to make an initial enquiry. When you choose us you’re sure of a thorough service from start to finish. We don’t ask for a deposit, and our professionals always come out to speak to you about the project that we’re undertaking. This is completely free, and it allows us to go over everything. All work is guaranteed for up to 10 years and we’re fully insured with public liability insurance for your peace of mind. Our family-run business works for you, and our goal is to provide a service that customers can rely on. 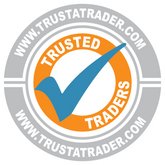 You can see the high-quality work that we offer by the Trust a Trader reviews that we’ve received. contact our pavers, in Barnsley, Yorkshire.